I was tasked with the installation of a new OS the other day and of course found that I had no optical media access (CD/DVD-ROMs) on this server. This of course is a problem if you are tasked with installing an OS. As such, it can become an annoyance if you aren’t prepared to deal with situations where access to optical media isn’t an option. I think the lack of optical media access isn’t necessarily a bad thing, in fact I would consider it to be a good thing and it is helping me break my habit of burning CD’s like it was my job. A few benefits of using USB can increase flexibility and speed that I can think of, especially with USB 3.0 becoming more prevalent. There are a few handy tools out there for making your USB devices bootable, bypassing the need for optical media. In this post I will describe my recent experiences with some of these tools with the hopes of speeding up the installation process for potential viewers in the future. 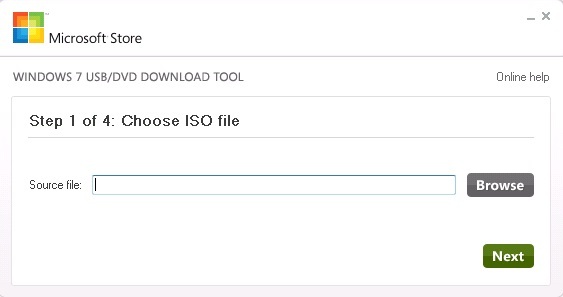 This is a pretty slick tool for making ISO’s of newer Windows operating systems. The name can be a bit misleading but it can handle server OS’s as well. I haven’t tried it on an older OS so I can’t vouch but I believe it will work on Vista, Server 2008 and Server 2008 R2. The tool is pretty self explanatory and Microsoft did a good job of making this tool easy to use. Just install the program, plug in your USB device and point the application to the ISO that you would like to make bootable. The tool takes care of the rest, including formatting of the USB drive and expanding all the necessary files to make it bootable. This tool is meant to create a bootable Linux image but I know it will work on Windows as well, again at least with newer versions. 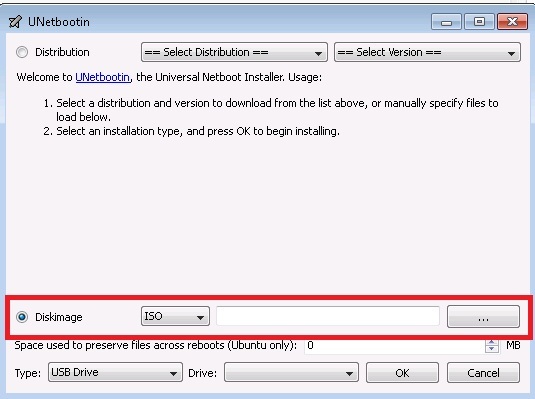 Inside the program there is an option for Windows 7 installer, simply choose this option, point to your ISO and select the USB device which you wish to make bootable. This is the third tool I have had success with. One down side to this tool is that there isn’t really support for Windows images built in, but that isn’t a huge problem if you use the other tools and have more than one USB drive. I believe there are others like this but this was the first one I tried and worked right away so I didn’t really even need to bother with others. In my scenario I needed the HP Smart Start image, which isn’t listed by default so I just chose diskimage and pointed to my ISO and away I went. This is another multiboot (obviously) tool for USB devices. and this one is probably the coolest from the perspective that you can create multiple bootable images, rather than just a single image like the other, aforementioned tools. This one appears to be made by the same people that made the Universal USB Installer. The only difference being that you can use YUMI for more than one image. For example, this tool would be great for a variety of different Operating Systems, Live disk images, anti-virus scanner, boot utilities, etc. It is pretty dead simple to use which is nice as well. Using these tools I was able to dramatically decrease the amount of time it took to install the HP tools and Windows operating system. I think I will try to use bootable USB devices whenever possible in the future because the results were so good from this experiment.